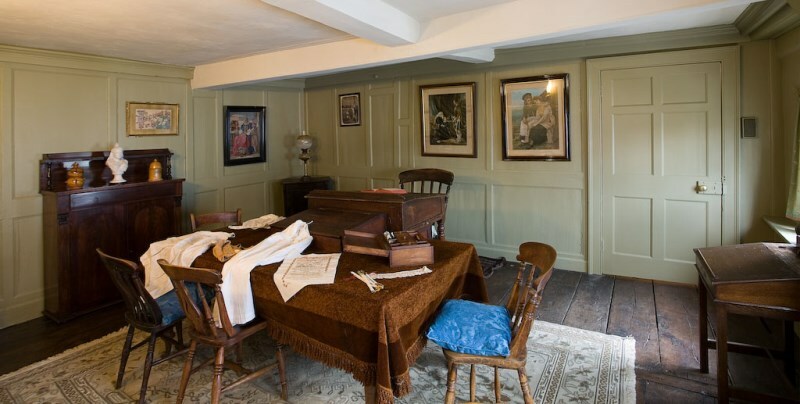 Our multi-period restoration and interior recreation of Nantclwyd House includes a room which continues the building's story into the late Victorian era, when it housed Miss Charlotte Price's academy for the daughters of aspiring local tradesmen and farmers. 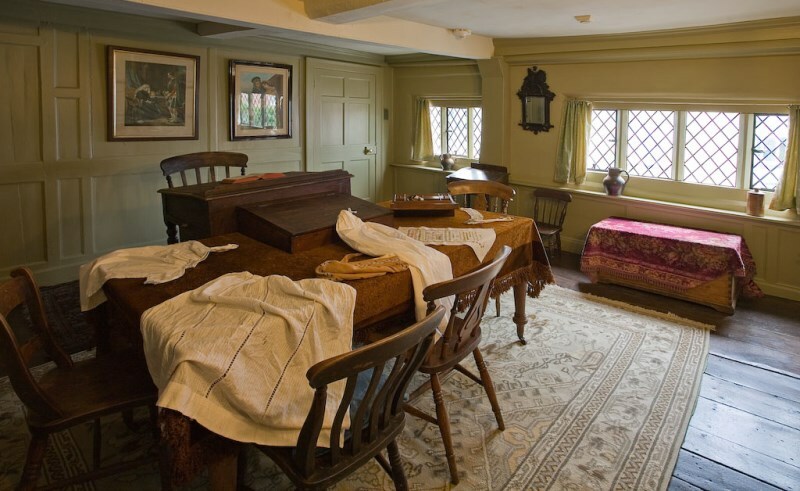 This room of c.1891 is set as for a needlework lesson. The furniture is mainly antique of the period, and the paint colours and curtains mirror those popular with late Victorian middle-class households. 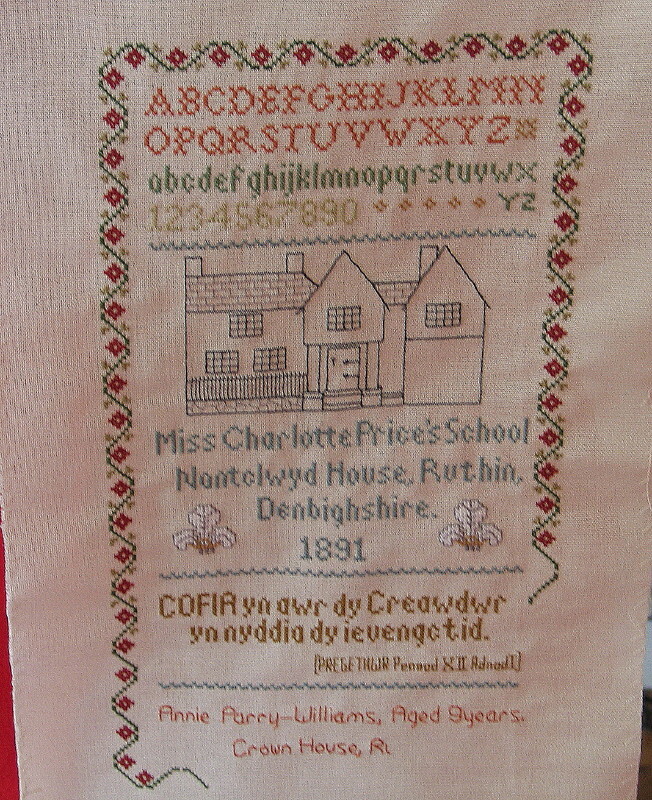 We also reproduced a sampler made by one of the known pupils.